Rackmount Rails Included: Yes. Processor Type: Xeon Six Core Server. Product Details Caddies / Blanking Plates: 8 / 5. Flashpoint SERVICES. BY Nigel Chapman. Jane Chapman. Loads of Other parts Available. ML350 Proliant Gen5 inc raid adapter. 2 x 2.50GHz Quad Core Xeon processors E5420 (Total 8 Cores). (Windows Install Disc For Proliant Servers ). 2x Empty drive cadies (not blanks, will accept hard disks). Dual X5675 Hex/Six Core Xeon 3.06 GHz CPU's. Dell Poweredge T610 Tower Server. 8 x Empty Hot Swap Drive Bays. B Grade Case - it will have scratches and possibly very minor dents as per the photos. Fully Tested. HP ProLiant Server DL380 G7 2x X5650 Hex 6-Core 2.67GHz, 64GB 2 x 146GB 10k SAS. Condition is Used. Dispatched with Other Courier (3 to 5 days). 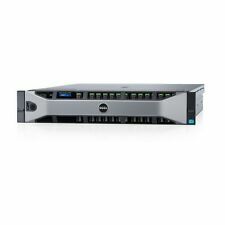 Dell PowerEdge R710 Server. This server is used but was working when removed from site. Apart from being powered up it has been tested to BIOS. CD/DVD Drive. 2x 12Core AMD Opteron 6168 @1.90GHZ. Dell Poweredge R715. 32GB DDR3 Ram. Drop off your old electronics for free recycling. Free sanitization of HDD data. 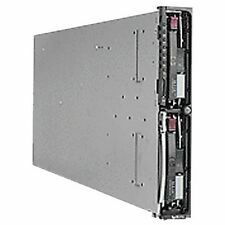 HP DL360E G8 1U RACK SERVER - 2x E5-2450L, 8GB, B120i/ ZM, 1x PSU 8x SFF..
Model: Proliant DL360e Gen8. RAM: 24G (6x4G) 6 Used and 6 free DIMM slots. These servers have been removed from a Level 4 grade DataCenter. They have been set up and maintained by professionals. Grade A Refurbished. The purposeful design of the PowerEdge R410 provides reduced complexity, showcasing clutter-free cable routing for more efficient airflow and easier maintenance. An LCD screen positioned by the front of the bezel provides aislelevel access to deploy the server. 24GB DDR3 ECC Server Ram. 2x 146GB HDD's. 2x 600GB HDD's. CRT and TV recycling from £12.50 per unit. Drop off your old electronics for free recycling. DVD-ROM included. HP Proliant DL380 G7 Server in perfect condition with preinstalled fresh copy of Windows Server 2012 R2 Standart. Just plug and play. I can provide you with more 450GB hard drives if needed. 2 x AMD Quad Core Opteron 2384 2.7GHz / 8GB RAM(8x1GB) / No Hard Drives. Dell PowerEdge SC 1435 Server. Power Lead Included. This is aGrade 3item. Reference: S0078534 JG RED. 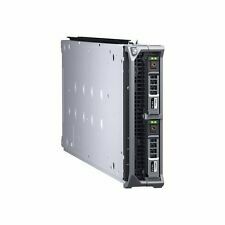 HP ML350 G6 Server 72GB RAM and 2 x Xeon CPU with storage. Server has 72GB of RAM and 2 Xeon 2.4GHZ CPU's. Storage is 2 x 146GB SAS drives and 3 x 450GB SAS drives. All works fine. 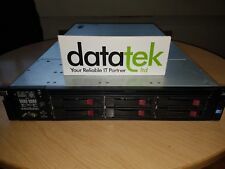 5 out of 5 stars - HP ML350 G6 Server 72GB RAM and 2 x Xeon CPU with storage. 2 product ratings2 product ratings - HP ML350 G6 Server 72GB RAM and 2 x Xeon CPU with storage. Sun SunFire X4150 Server. No hard drive caddies are included. This is aGrade 3item. Power Lead Included. Dell PowerEdge R310, Xeon Quad Core X3430@2.26Ghz, 16GB DDR3 (10600R). Condition is Used. Collection in person only.